Ronan’s unique perspective and down to earth advice on recording and producing makes it a really enjoyable read. In just a few days of it’s release it’s already ranking highly in Amazon’s charts. “Audio Recording Boot Camp” is a for charity book, eBook and video series presented by Recording Boot Camp. 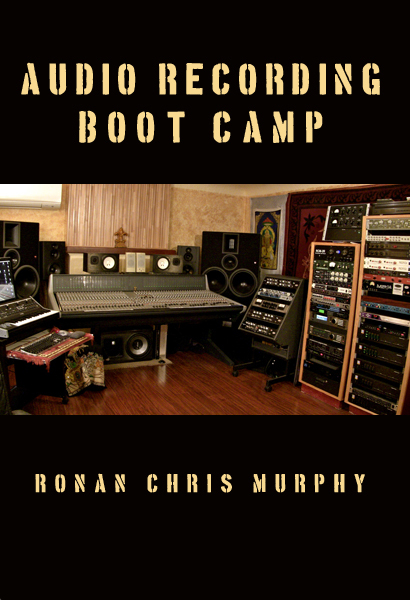 Culled and updated from many articles and essays over the years, Audio Recording Boot Camp features over 40 pages of recording advice and perspective from Ronan Chris Murphy. 95% of the net proceeds from the sale of this book will be donated to the recording program at Phoenix House, a center dedicated to helping teens with drug addiction and uses music recording as a tool to help with recovery. @theaudiogeek Very cool. Thanks for the heads up. Gonna pick up a copy.